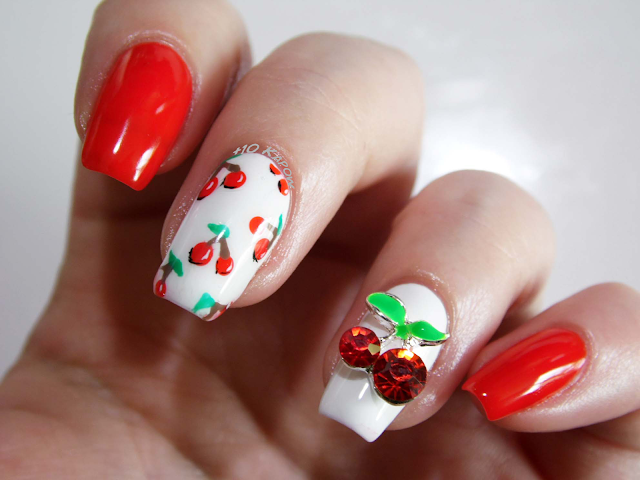 Cherry nails always make me think 50's pin up! 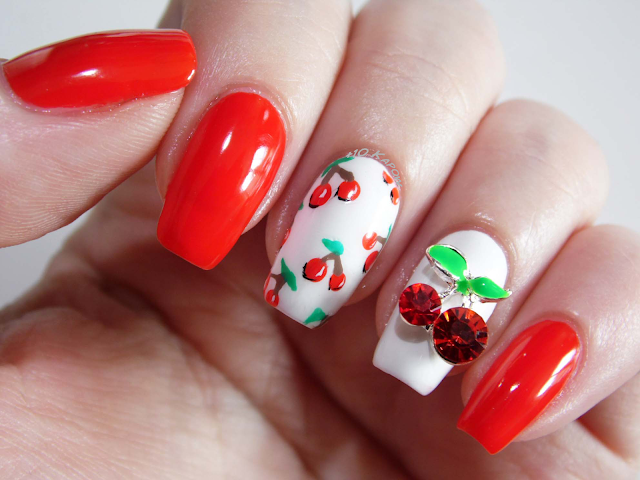 I knew exactly what nails I wanted to when I saw the cherry embellishments, however, when I planned it, I honestly thought I had a cherry stamp but noooope, I'm remembering non existent things again, so I ended up having to freehand the cherries, I think they turned out ok though. The embellishments are from Born Pretty Store and are pretty well made, with the base a silver colour, the leaves are an enamel green and the cherries are faceted rhinestones. You get a whopping 20 in a pack and if you just smoosh it into the topcoat like I do, then most of the time they will be re-usable. It was pretty easy to get situated on my nail and stuck well in the topcoat but being a larger embellishment, it did catch on things. Polishes used: Ciate Red Hot Chilli and Barry M Cotton. Top coat: Danglefoot Nail Polish quick dry topcoat prototype. I love that this nail art has such a retro feel to it and I actually used a proper brush to do the cherries rather that a dotting tool, and it didn't go horribly wrong, I was very impressed with myself. 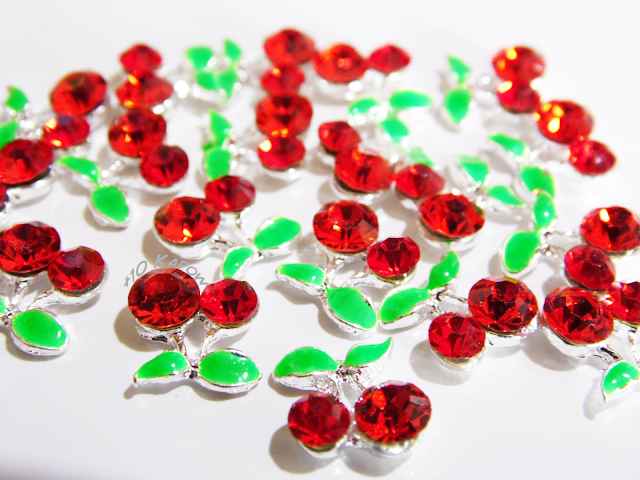 You can find these embellishments here for £3.44/$4.90 for the pack of 20. 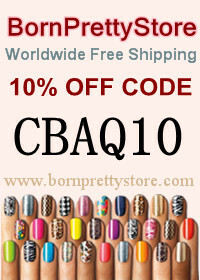 Don't forget that you can use my code CBAQ10 for 10% off full priced items at bornprettystore.com.